Pratia pendunculata Alba lives up to its name as Super Star Creeper! 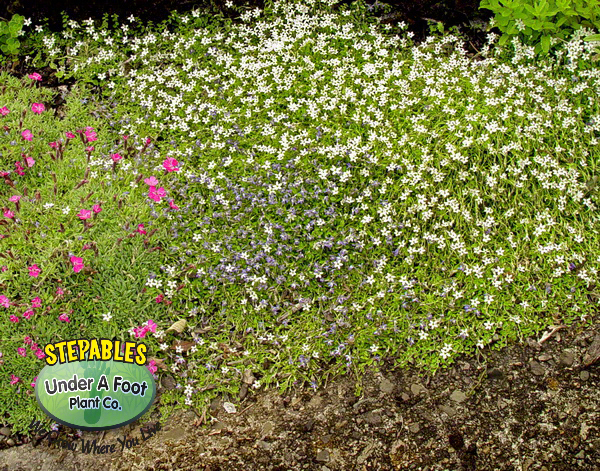 This little STEPABLES Creeping Perennial is packed full of all the same great qualities as its big brother Blue Star Creeper...but with even more blooms! 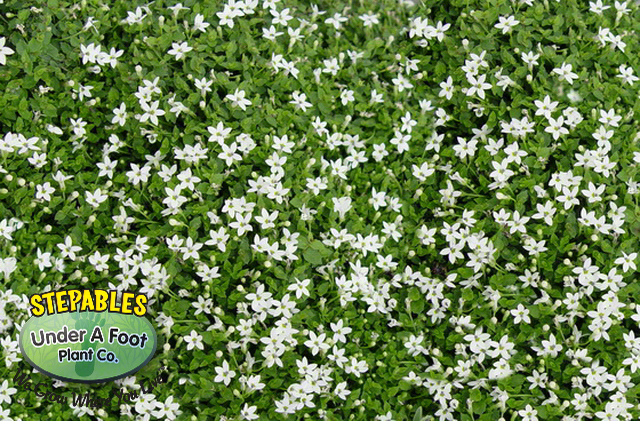 Pratia Alba has super tight, small green leaves that weave a dense mat on top of the ground and underneath, making it a superb selection for a lawn substitution. 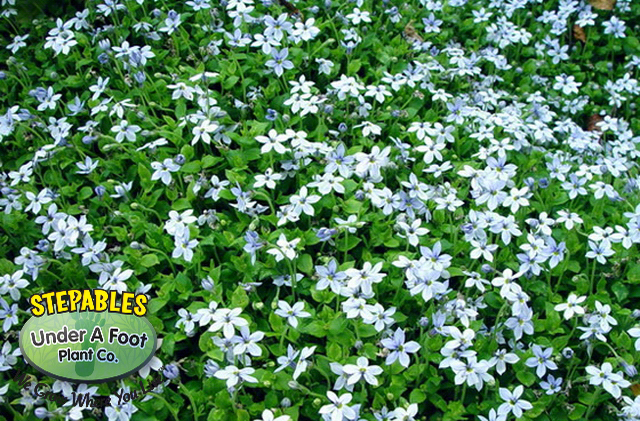 Bright white, tiny flowers completely encompass this amazing ground covering perennial in late spring and throughout summer. Plant in between stones, over flower bulb, and makes a spectaular fairy garden grass. 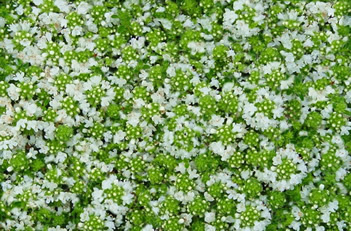 Excellent creeeping perennial to use as a bark/mulch substitute around shrubs. Pratia pendunculata Alba is indeed a Super Star plant! Plant it anywhere and everwhere and watch it roam! Super great creeping perennial between pavers. 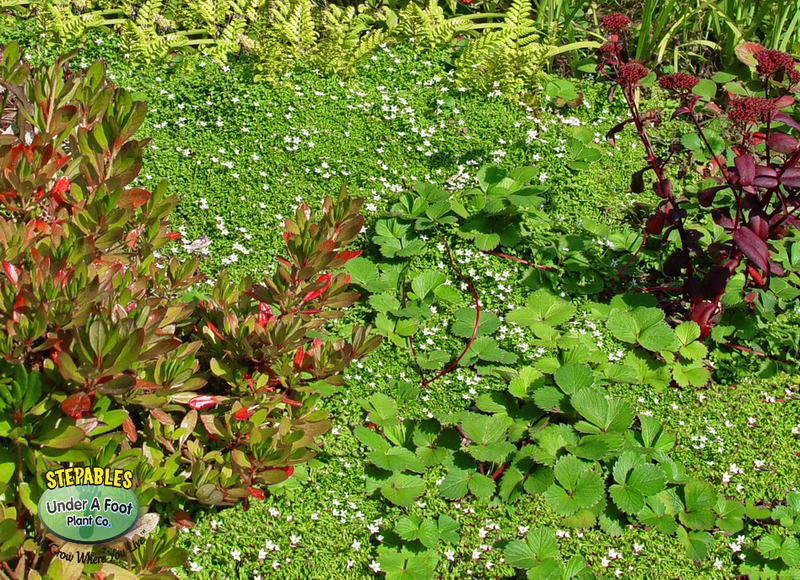 Super great creeping perennial around shrubs. 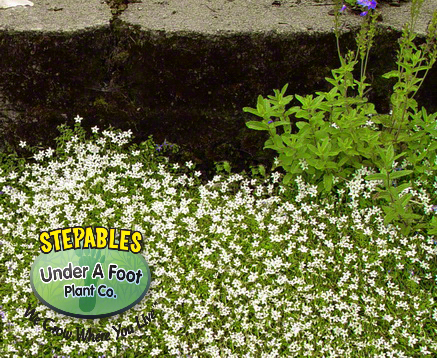 Super great creeping perennial as a lawn substitute! You get the picture! I have had this for many years in my garden and love it and you will too! and Courtyard Inspirational Garden Photos!